The Matterhorn is considered one of the highest mountains in Switzerland with an average height of over 4,000 meters. Matterhorn is a mountain in the west part of the Alps mountain range, called the Pennine Alps. 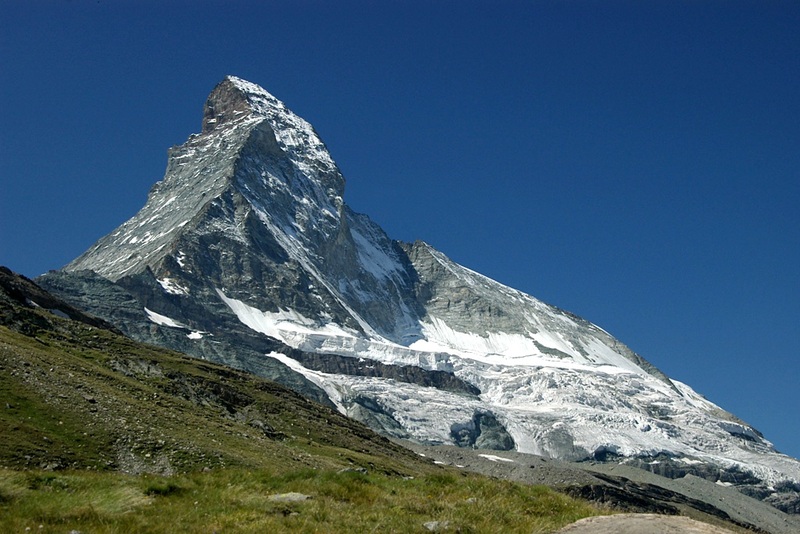 The peak height of the Matterhorn is 14,692 feet and it falls on the border of Switzerland and Italy. The Matterhorn is a German name that means Meadow peak in English. The Matterhorn has two different adjacent summits with both of them located on a hundred meter long ridge that has rocks covering it. The Matterhorn has a unique pyramid shape due to erosion over the last million years. A lot of mountaineers love to go hiking up the mountain. The attempted first ascents, however, were not very successful. History shows that scaling the mountain has not been very safe for climbers. The worst incident occurred in 1865 when many people died while climbing the mountain. During a visit to the Matterhorn, one can take a ride on the cable car, a method that is much safer and makes the mountain more accessible. you should actuly tell the real higthof all the mountains because some people might need them !!!! You should put the climate and the animal life please! this does not tell me all the things i need to know become a problem solver not a problem causer!!!!!!! Take the free info that is offered and be thankful for it!!! This is very good and very factual I love it. It helped me with my project so much!!! !